Is there a place in the settings to see Screen On Time or do I need to download an app? I can't find it in the settings. Just wondering if I'm missing it. Actual time in hours and minutes? GSam Battery Monitor. Stock settings just will do. Go to settings - battery - tap on screen. There is no option for Screen in Sense 6. I'll just download the GSam app. Thanks! 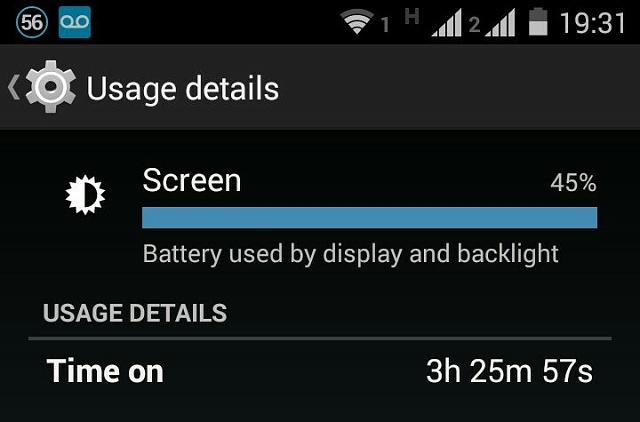 I only get 3 hours tops of screen on time. Seems too little, from what I've been reading. I have wifi, mobile data and GPS always on and mostly use 4g since I don't have wifi at work. Is this normal? What's yours? Using phone GPS on a cruise to find position....possible? Why can't I see apps on my phone? Galaxy Note 3 Stuck on "Select Boot Mode" Please Help!